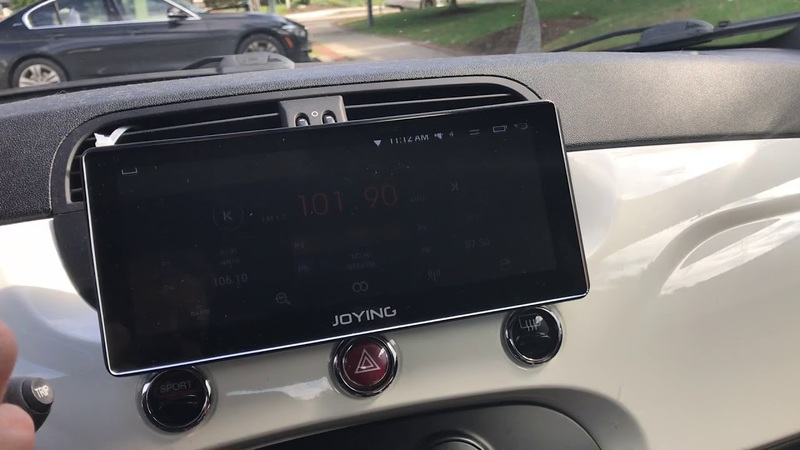 Took the plunge and bought a Joying 8.8 HU from China 5 months ago and finally had time to install. So far I am very happy with the results. The HU has Apple CarPlay installed and I was able to get the SWC to work. Everything went together pretty well and quick. I soldered the harness and that took most of the time. I’m really digging this. We are working on exterior on our NGEN Abarth and then considering audio upgrades. Were you able to get the steering wheel controls to function with the unit? We have the Parrot system from the 4C installed into our 500 abarth. Huge improvement over the factory system. Not all of the buttons work. previous track and source buttons are all recognized as the same resistance as next track and phone buttons. What ever the button between the volume up and down rocker is also is picked up the same as mute (I think is great to have mute next to the volume). this works for me as I mostly use CarPlay and I just use the touch screen for most things. Really wanted to get volume controls to work and the home button as that makes navigating so easy. I played around with switching the head unit type but the Sony default seams to work the best for me. I still have a canbus arduino board that I may play with to do some additional things but out of the box this was good enough. Was thinking of doing the same thing, but with a 6.2" screen. That's big enough for me, and it doesn't obstruct the vents as much. It's also cheap and easy to install. Thing that bugs me about installing a true double din is the vent cutting, rerouting and the dash kits from Schosche and others seem to be a crappy build. The screen mounting system is pretty smart- you simply screw in the receptacles for the mounting pegs on the unit, up or down. Alpine built a single din unit with a 9" screen, which is too big for our cars. This isn't how I went with Mad Fiat, only because these units weren't available at the time. I did a full double din conversion with a bit of custom fitting. This 6.2" unit is how I would do it now, however. How did you find the A/C with the double din? Less effective or about the same as stock? Question- did the ASWC Steering Wheel Interface self detect, or did you have to program it manually?